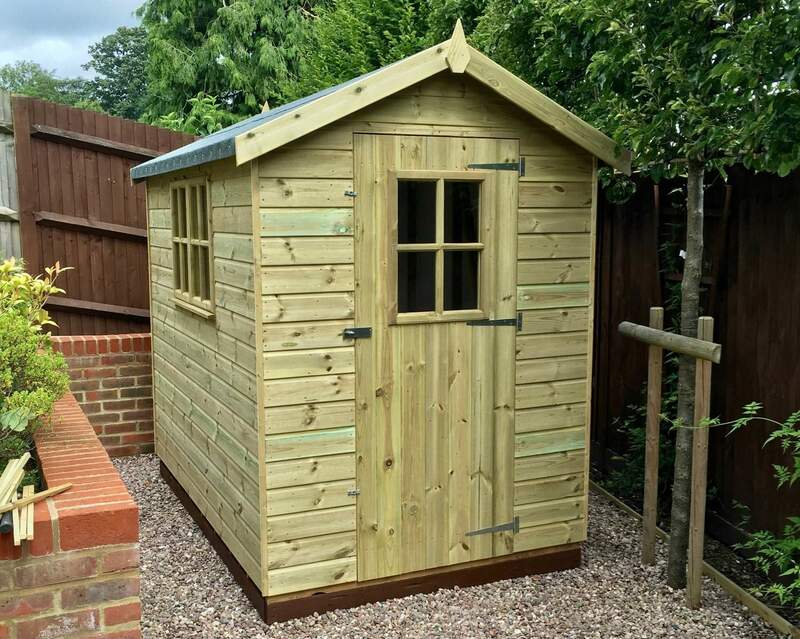 Wood is the perfect material for your shed, workshop or summerhouse, subtly blending in with its natural surroundings whilst offering unparalleled flexibility and durability in construction. However, even the most hardy of woods is subject to weathering, decay and rot. 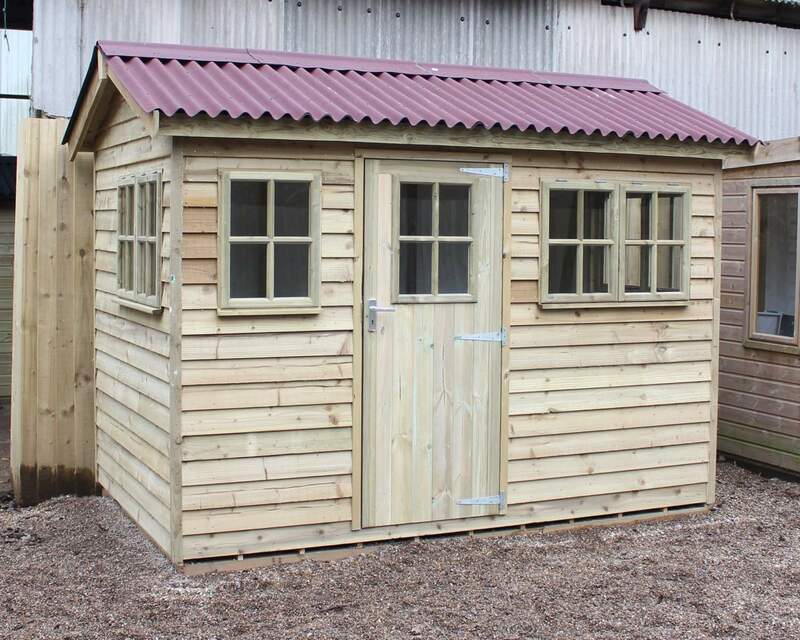 That’s why at Ace Sheds we make sure we only provide our customers with the highest quality pressure treated sheds. 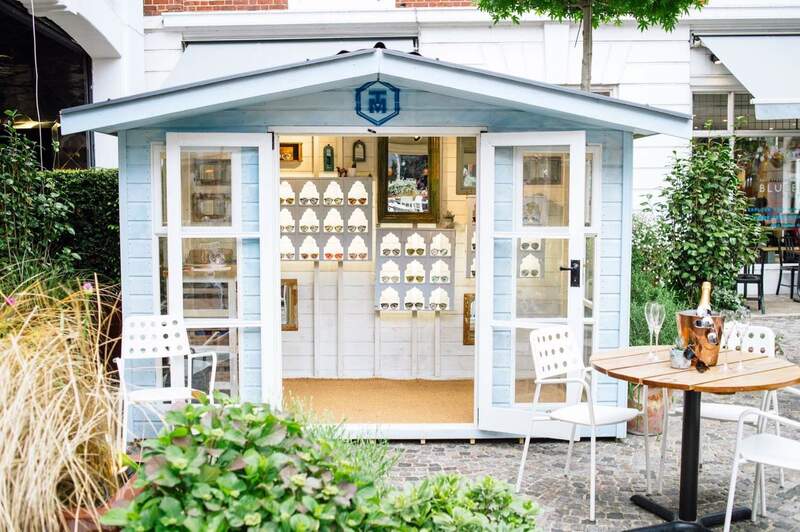 Creating the perfect garden shed or workshop is the result of a lot of time and planning, therefore you want to make sure it will hold up to whatever the British weather, or wildlife throws at it. Our methods are tried and tested to ensure your new garden structure will last for many years to come. 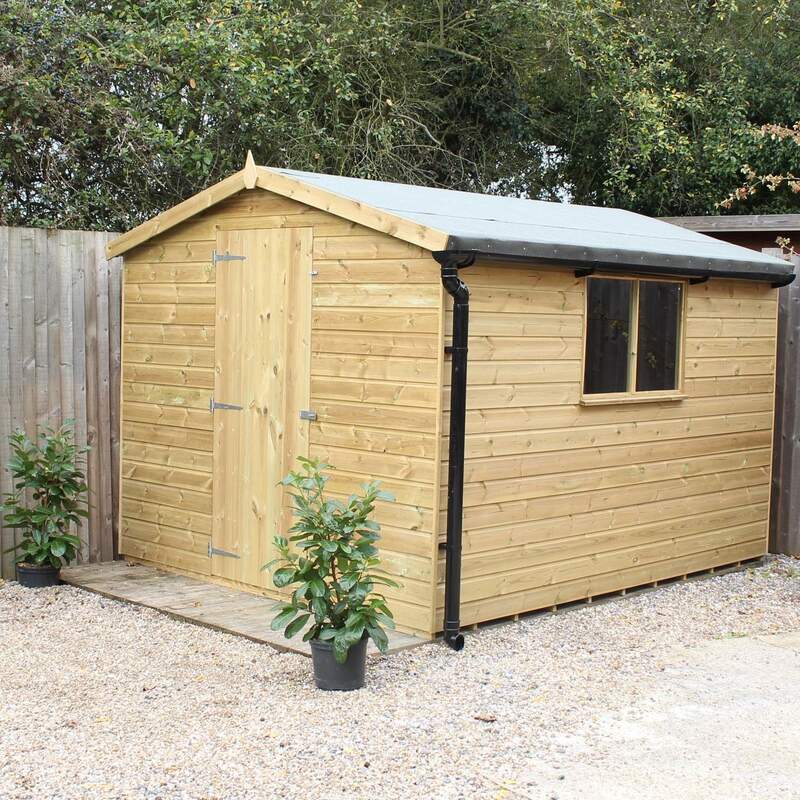 All of our 100% pressure treated sheds and buildings are manufactured from quality tongue & grooved redwood (not cheaper rebated cladding) all of which are secured to 47 x 35mm battens with rust-resistant stainless steel ring nails. Tongue & grooved roofs and floors on this option are standard along with high-quality ironmongery and green mineral felt. Please note: all of our optional extras are available in this range. 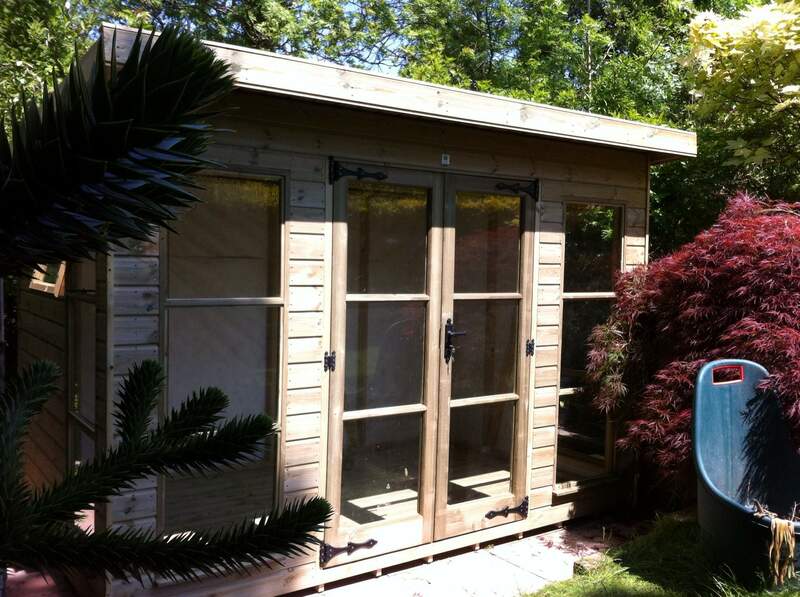 Pressure treated timber protects against rot, decay, insect and fungal attack. 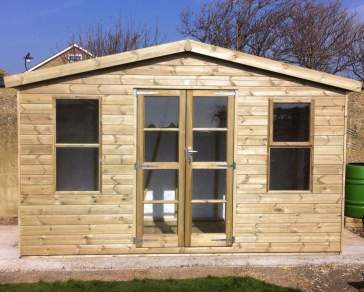 Especially durable for outside projects where timber is exposed to the elements and moisture. Extends the longevity of the timber, when all cut ends are re-sealed using a suitable preservative. 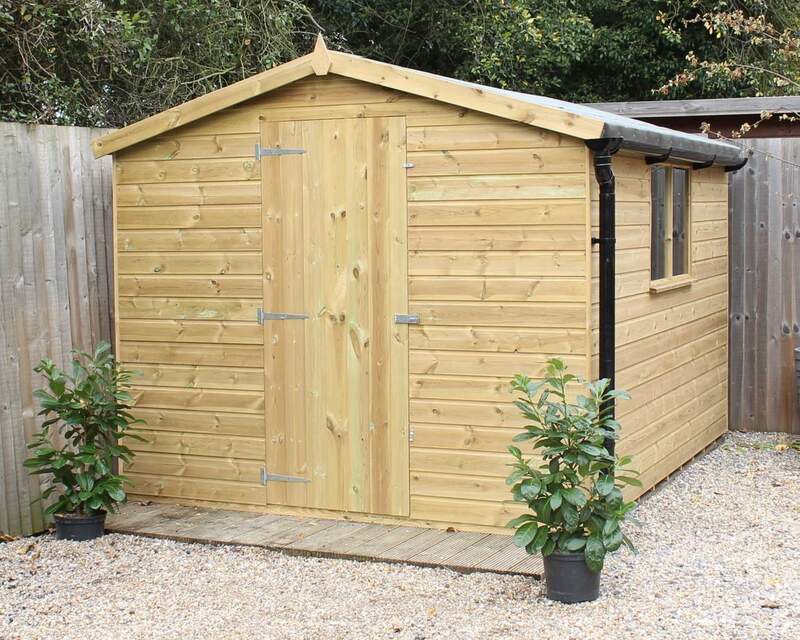 View our range of pressure treated sheds here. Our timber is sent direct by us to be pressure treated. This allows us to ensure our timber has been pressure treated to the highest standards to maximise protection and longevity. Timber loaded into treatment vessel. Initial vacuum applied - timber cells evacuated of air. Vacuum held. Cylinder flooded under vacuum with wood preservative. Hydraulic pressure applied, forcing the preservative deep into the structure of the timber. Final vacuum extracts excess preservative solution, which is pumped back into storage. Low pressure inside timber draws in surface solution when vented to atmosphere. Treated timber is left to dry.